We did it. We survived a road trip with older kids. 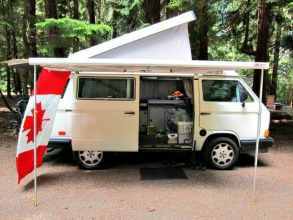 Three weeks, 6,000 km (3,800 miles), 5 American States, 2 Canadian Provinces, and one 1991 VW Westfalia Vanagon. Without air conditioning. With two teenaged boys. We’ve done quite a few epic road trips with our boys since they were toddlers. Like Cannes to Paris, France, in a day. (We arrived in Paris near midnight, and promptly got lost in the Bois du Boulogne. Do not recommend.) And from Vancouver, British Columbia, to Drumheller, Alberta. Destination: Dinosaurs at the Royal Tyrell Museum. They have all been fun, and memorable, and largely successful, as this latest summer road trip was. Our kids are great travellers, and like any of us, their happiness is based on some key things while on the road, especially on a long road trip. (This year, it was Banff, Alberta, via the Bay Area of California. It’s a long story.) The great thing is that you can survive a road trip with older kids too! Just follow our nine tips and you’ll be free-wheeling and road trippin’ in no time. One of Canada’s most iconic roads, the Columbia Icefields Parkway, Jasper National Park. We’re big advocates for travel planning as a family, and that’s how we approached this summer’s travel season. When we asked our kids where they wanted to go (and how), their replies included ‘Banff’ and ‘road trip’. Their personal investment in our trip plan helped to ensure that; 1. they were keen to travel with their parents (not a given with teenagers!) and; 2. they were travelling somewhere they actually wanted to go. These are both pretty important elements to enjoying a successful family holiday. Now, along the way there were items that required some negotiating and compromise, but really, it wasn’t much. More along the line of how long to spend in certain places, or whether to seek relief from the desert heat of Nevada in a air-conditioned hotel versus camping (the hotel won unanimously). In learning how to travel well together, the necessity of compromise is an important lesson for everyone. Rest stop yoga, anyone? Driving hours without a break isn’t fun. Keep a lookout for the pullout signs and take frequent stretch (and bathroom) breaks to rejuvenate. Historical sites and markers are also wonderful pit stops, with the added value of educational information. Of course, the power of ice cream parlors to work miracles in boosting sagging spirits in the mid-afternoon is well-documented. In our household anyway. We’ve tried to fight it, but it’s nearly impossible, especially with older kids. Without fail, the first question upon crossing the hotel threshold was, “What’s the Wifi Password?” Our teens needed their daily connection fix, which usually happened at night time in a hotel room (when we weren’t camping). It is important for kids (especially older ones) to be connected with their friends via social media, though I do believe they can live without it for a few days! The key is to find the common ground of how much is mutually acceptable, without veering into the extremes of none, or all the time. Enjoying the views of the Glacier Skywalk, Jasper National Park, Alberta. It’s so much easier to get kids excited about a trip or particular travel day when their interests have been included. Do your kids enjoy active travel, such as hiking, biking or zip lining? Do they prefer quieter pursuits, museum visits or shopping? Do you have theme-park-crazy, or beach + ocean fans in your family? Plan your travel accordingly, and everyone will be much happier for it. 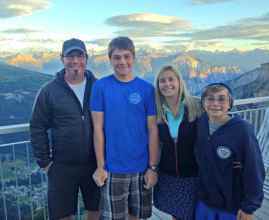 We planned and managed to get three great hikes in during our visit to Banff and Lake Louise, which made our boys very, very happy. That said, it’s just as important to ensure that everyone’s trip style is met. If that means a cultural/museum visit one day, followed by a beach/hiking/biking day the next, that’s great. Compromise is something that all family members need to understand and appreciate. Camper Selfie! Reading is a great way to pass time on the road. While choosing your activities with an eye towards what your kids (and family as a whole) will enjoy is a must, planning some chill or rest time is equally important. Over-scheduling tired kids and adults after a particularly long travel or road trip day is a recipe for crankiness, eye rolling or meltdowns – or all of the above! Build in rest days to enjoy at beaches, water parks, or exploring a new city. Breaking up a road trip with multi-day stays at a fun destination along the way also works well. We stayed with friends half way through our trip, and it was a relaxing trip highlight for all of us. We never thought we’d count Hawaii in our license plate game. What a sweet find. Teens are not too old to enjoy car games. Whether it’s the venerable old punch buggy (pretty rare), Mad Libs, I Spy, or 20 Questions, car games and play can be surprisingly fun. For our road trip, the License Plate Game ruled. We spotted 47 out of 50 states, including Hawaii!, as well as 7 out of 10 Canadian provinces. Our kids were so into spotting plates that when my son yelled out “Georgia!” while on the highway in Idaho, my happy scream of delight startled my husband so much he thought we’d just seen an accident. Ooops! Ensure your car cooler is packed full of favorite (and healthy) snacks, drinks, and a choice of whatever sandwiches, wraps or pockets that will make them happy. Road tripping should also involve some special treats that aren’t part of your daily menu. Our own treat selections include beef jerky, cheese popcorn, and sour candies. Don’t forget the napkins and wipes, and do pack your own water bottles for refills, to cut down on bottle waste. Winding our way through the desert of northwest Nevada, we stopped often to refill on cold water, Gatorade and cold-brewed coffee, and to replenish ice supplies in the heat. Our 90s-era VW Campervan is not air-conditioned. Even adults can get tired of hours of ‘wow, look at that view!’ window-gazing. It’s okay to tune out of surroundings once in a while and read, sleep, listen to music or audiobooks, or watch videos or game. While we’ve never travelled with in-vehicle entertainment systems, I do understand their appeal. But I also believe in talking, playing car games (see above), and appreciating the views and surroundings that you’re travelling through. That is a big point of any road trip, especially on such roads as through Yosemite National Park, or the Icefields Parkway between Banff and Jasper, Alberta. Do smell the roses, take in the views, and make those memories that kids will remember, always. If your teen is old enough to drive, a road trip with long stretches of driving is a great practice opportunity. If they’re capable – and you can handle the stress – gauge their ability to navigate through an urban centre, or follow GPS instructions. Use the trip as a confidence boost for their driving abilities, remembering to first check whether their conditional license (if applicable), or your rental car agreement and insurance is valid in the area you’re visiting. Have you done a summer road trip with your kids? Where did you go? Share your tips below. Your post about license plates reminded me to start counting. I think we found 37 in our two week trip through NJ, DE, MD, VA, WV, PA, NY & CT.
That’s impressive, Tamara! It sounds like you enjoyed a fun and packed road trip through all of those states as well. Great ideas! Our family, with 3 teen boys, also goes to great lengths to make sure everyone has a say in the things to see or do. I do all the research and create a Google doc, shared online among the 5 of us, with a blurb about each itinerary item or idea, with links so the kids and hubby can see more if they’d like. Then each person, with their own color-code, places a number next to the items, ranking what they’d most like to see or do, with #1 being their MUST item. That way, I, as the travel planner, can make sure we all do or see that one thing most important to each person. And, I know what we can eliminate off the plan. Works for us! Sandy, I just love how organized you are! That’s a great system, and I’m going to have to try it myself in planning a future trip. Cheers! I love that car games and ice creams are still applicable to teenagers! My kids are still little but we try to involve them in planning and ideas as much as possible. There are some great ideas in this post that I will definitely use as they get bigger. Thanks! I love that Ice Cream is a mood booster in your fam too. I totally stash sweets on all trips so I can easily whip them out as needed. It does really boost their moods. I also totally agree with the wifi dependency. It is so much a part of the American lifestyle both with its pros and cons. But, I figure if we are all together 24/7 then connecting to wifi for an hour or two is just fine. Totally agree, Amber. Our family travel motto is pretty much, ‘a gelato (or ice cream) a day keeps the tantrums away’, and it does work. Thanks so much for your comments! Thanks so much, Kimberly! 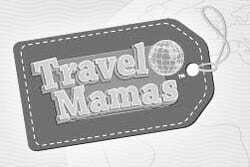 There is much to look forward to, in planning trips with your girls! Vanagons are great and practical vehicles indeed, Brittney. They need TLC and regular maintenance as they age, but don’t we all? 😉 Cheers! Fabulous post Claudia! So true about giving the kids an investment in the planning, as well as the right to say no once in a while. Thanks very much, Robin! Appreciate your comments. Our daughter is 11 now, so these are great tips even for a tween. I can’t wait for my daughter to share the driving because my husband doesn’t! That must be such a challenge for you! While I would like to help with that chore, my husband really loves driving. It leaves me free to read, navigate or take photos of course! It will be very fun when you daughter is older and can help you with the driving duties! Our kids are in between the toddler and teen years, and it’s really a great phase, but I can already see the wisdom of getting older kids involved in the planning, respecting their space and independence, and understanding their sleep schedules. Thanks for your comments, Allison. A little loosening of control and respecting their independence really does go a long way. Cheers! Great post! Thanks for sharing some ideas for the older kids. My pleasure Candace! Glad that you find the tips useful. Happy travels!